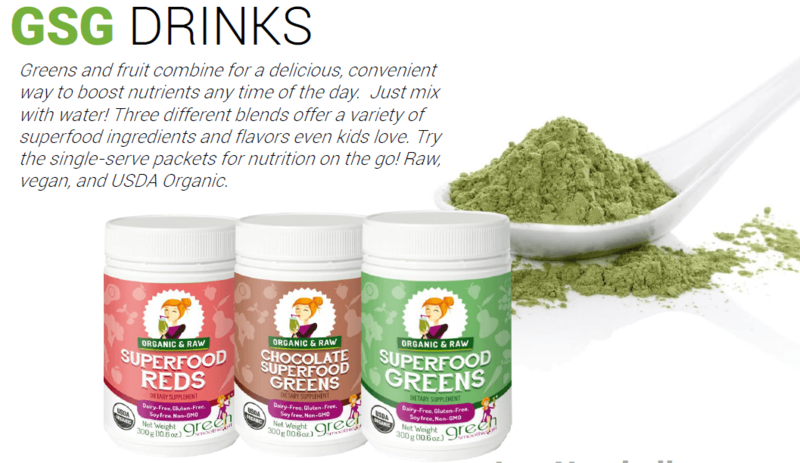 Are you looking for a healthy and delicious green superfood powder? My review of the GSG whole food powdered supplement will help you with that today. Let’s get this thing stirred up. Did you know that the frequent consumption of highly processed foods perpetuates an addictive cycle of food cravings? Say what?! That’s right. I used to think there was nothing wrong with eating processed foods such as hot dogs, hamburgers, pizza, french fries, and candy (to name a few). Growing up I used to buy sweets from a candy store a little further away from my house since they had the cheapest prices and I sold it in school for a little profit. It all worked out in the end because I had enough energy and youth to burn off the calories and not feel the impact of my actions (so I thought). However, this changed as I got older and realized that the food I ate dramatically affected my digestion and explained a lot of my cramps, bloating, constipation, diarrhea, and sugar crashes. At the time I just thought that stuff was normal. Pain became my new normal and my quality of life suffered as a result. How can you get a party started if your hormones are all out of whack? Your endocrine system is a series of hormone producing glands and organs that help control your metabolism, reproduction, blood pressure, appetite, and many other bodily functions. The captain steering the ship of your body is called, “hypothalamus” and this is the region of your brain that tells glands to release hormones into your blood stream and travel to specific areas of your body to stimulate tissues and organs directly. When this isn’t in proper working order, this can really mess with your energy levels, digestion, and weight as time goes on. Just because you can’t see or feel it now, doesn’t mean that an onslaught of health issues isn’t on the way. You need micronutrients (i.e. trace minerals) every day for daily functions like waking up in the morning, staying up during the day, and falling asleep at night. Did you know that your body loses these micronutrients through sweating, blood loss, and bodily waste in addition to eating processed foods? This is why it is so critical to not only give your body what it needs, but to also keep up with what is being lost to normal bodily functions. Wholefoods give your body what it needs, but superfood powders give your cells and added boost of nutrition and flavor. Important Note: Green superfood powder is not a smoothie in and of itself (even if you blend it water and ice). It is a great stand-alone nutrient boost of powdered greens, fruits, and other superfoods that mixes easily with smoothies and fruit drinks. 1.) Focus on Healthy Alternatives: High quality ingredients made from whole plant foods give your body what it needs. You don’t have to count calories, grams of protein, carbs, or fats since your body will use what it needs and eliminate what it doesn’t naturally (it is nice to have those facts so I’ve included them above for your convenience). 2.) Make Your Tastebuds Happy: Delicious, sweet, and savory flavors will make your taste buds do a backflip when added to your smoothies. Just putting them in water is okay, but putting them in smoothies adds a combination of flavors that really makes the experience worthwhile. 3.) Look for Convenience: Quick and easy drinks that give your body the highest nutrition possible in the shortest amount of time (less than 15 minutes) should be your goal. We all live busy lives, and having grab and go “fast food” that is high in vitamins, minerals, and is tasty is a plus. At the intersection of Healthy and deli cious, our taste buds are given an opportunity to jump for joy and learn something new along the way. There are many people looking for this ice cold treat (can you say iced coffee?). Even if you don’t choose caffeinated beverages, after a while your smoothie can become a little boring and need a little pick me up. 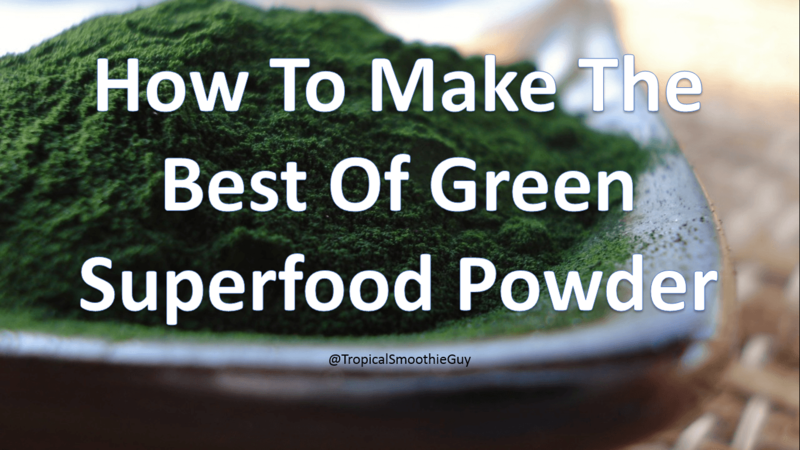 Green superfood powder does a great job of providing the proper wholefood nutrition and flavor to smoothies due to it’s concentrated ingredients. When you learn to make your good habits easier (like placing more good stuff in the fridge) and making our bad habits harder (i.e. giving away unhealthy food), you can start to see lasting results that make you feel better (your small intestine’s may even write you a thank you letter). The first thing to do is check out some of my other blog posts on essential fatty acid supplements and raw vegan protein powder. I walk through why these are so beneficial for your health and how they take your smoothie to a whole new level. 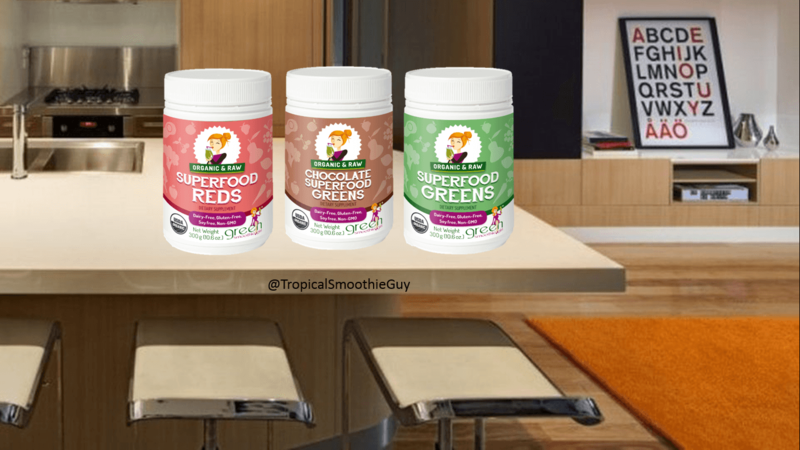 If you are interested in buying some superfood powder for yourself, you can check out GreenSmoothieGirl.com for these products.